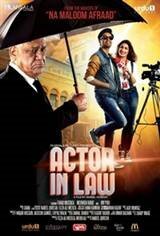 An aspiring actor (Fahad Mustafa) is disheartened to discover that his dark complexion is stopping him from becoming the movie star he'd always hoped to be. Suffering rejection after rejection, he succumbs to the pressure of his father (Omi Puri) and settles as a lawyer. However, he soon realizes that his dreams can come true and begins to affect change around the nation.